BILLERICA, Mass. & ONTARIO, Canada--(BUSINESS WIRE)-- Insulet Corporation (NASDAQ: PODD) (Insulet or the Company), the leader in tubeless insulin pump technology with its Omnipod® Insulin Management System (Omnipod System), today announced the Omnipod System has been selected as the preferred insulin pump for individuals with diabetes in the province of British Columbia, Canada, under the expanded British Columbia PharmaCare insulin pump program. Effective today, an individual who requests an initial or replacement insulin pump and meets the eligibility criteria will receive coverage for the Omnipod System. As the only tubeless insulin pump sold in Canada, the Omnipod System delivers continuous insulin for up to three days without the use of tubes, eliminates the burden of multiple daily injections, and is now available for all age groups in British Columbia. It is estimated there are 18,300 people living with Type 1 diabetes in British Columbia, according to Diabetes Canada, with approximately 25% of this population using insulin pump therapy. Additional details on the British Columbia PharmaCare insulin pump program can be found here. *The Pod has a waterproof IPX8 rating for up to 25 feet for 60 minutes. The PDM is not waterproof. On July 1, 2018, Insulet assumed direct operations of its Omnipod Insulin Management System in Europe, including sales, marketing, training and customer support activities. This allows Insulet to be closer to the diabetes community and identify opportunities to support European customer needs over the long-term, as Insulet does in the United States and Canada. © 2018 Insulet Corporation. 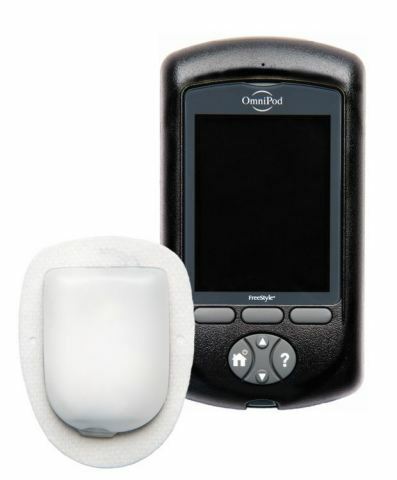 Omnipod and the Omnipod logo are trademarks or registered trademarks of Insulet Corporation. All rights reserved.